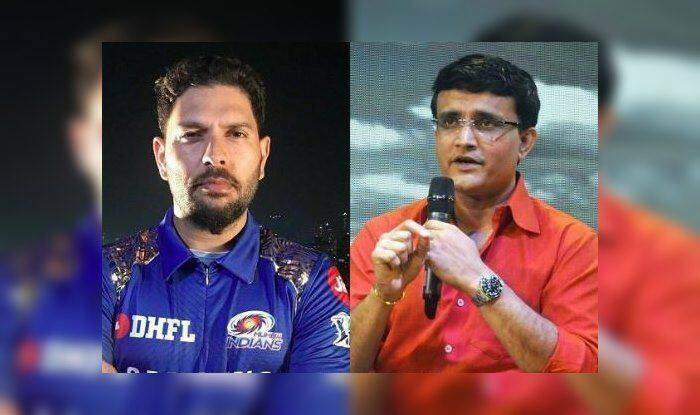 Indian Premier League 2019 Player Auction: Former India captain Sourav Ganguly seems to be elated after Mumbai Indians roped in veteran Yuvraj Singh for his base price of Rs 1 Crore. “To be honest, we had budgeted a lot more for Yuvraj and Malinga. At Rs one crore, a player like Yuvraj is probably a (biggest) steal of 12 (sic) years. He has won every trophy there is to be won,” Ambani told the host broadcaster of the auction. Yuvraj also took to Twitter to thank Mumbai Indians for buying him at the auction. “I am glad to be part of the @mipaltan family, looking forward for the season to begin. See u soon @ImRo45,” he wrote. Yuvraj will bring in stability to the Mumbai Indians middle order and will also chip in with the ball. Earlier, the southpaw used to play for Kings XI Punjab but couldn’t live up to the expectations which led to the franchise releasing him. Now, he will play with his old friend Rohit Sharma and this can be the big opportunity for Yuvi to bring his vintage fiery form back and foster the chances to return in the national side and play the upcoming World Cup, which is scheduled just after the IPL.